Follow this blog on Pinterest! 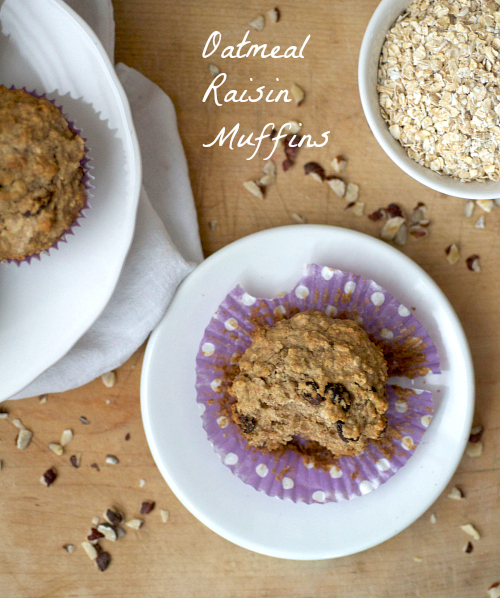 These oatmeal raisin muffins are the perfect snack or treat when you’re craving a cookie but want something a little lighter! It’s currently 4:45 am here in Singapore and, welp, you guessed it, I’m wide awake. And I’ve been wide awake since 2 am. Jet lag is no joke, especially when you’re facing a 13 hour time difference. I thought, given the fact I’ve been to this side of the world before, I’d be able to handle this time lag easily and effortlessly. But no, I hit me harder than it did last time and, much to my dismay, I fell asleep for two hours before my dinner engagement. If there’s one thing you should never do, it’s nap the you arrive to an exotic local with a vast time difference. That’s when you wake up with wide eyes and a racing mind at 2am unable to fall back asleep. 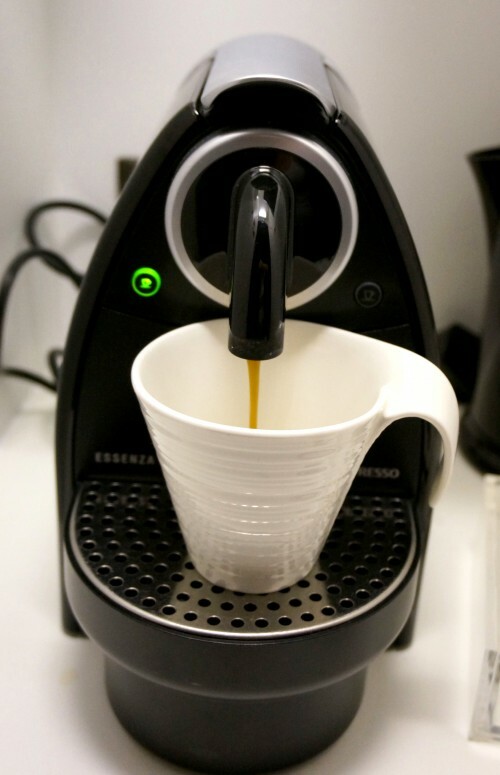 Oddly enough, my current exhaustion is the perfect segway to today’s giveaway item, a Nespresso Essenza! Oddly enough, this exact machine is the one that’s currently keeping the caffeine flowing through my veins in my hotel room. And honestly, it’s absolutely perfect. It brews two sizes of espresso and is the perfect size for just about any kitchen, even the very small ones you find in studio apartments in NYC. It’s compact, cute and absolutely necessary when you’re trying to make it as a writer. But that’s not the only thing I’m giving away! I’m also including a bundle (80 capsules!) of HiLine coffee. I got a box of this less than 2 months ago and sadly (and shamelessly), we’re completely out of them. My husband went on a Hi-Line spree a few weeks ago and drank the entire box (10 capsules) of Broadway Dark Roast in 4 days. Besides the high quality coffee, I love that each box is named after an iconic NYC neighborhood. My favorite is the Chelsea Light Roast because it’s the perfect mix of Colombian, Costa Rican and Kenyan coffee beans in a very smooth, very creamy taste. The light, easy drinkability of the roast pairs wonderfully with a moist and fluffy breakfast snack, like an oatmeal raisin muffin! If you think these look familiar, it’s because I’ve actually made them before. And by before, I mean BDSLRC (before DSLR camera). As much as I love to see how my photography has grown over the years, those iPhone 3g photos were not cutting it anymore and these beauties deserved a reboot. Each muffin is packed with your favorite oatmeal raisin cookie flavor, only in a slightly lighter, healthier and lower fat body. These are what the cookies would look and taste like if they went on a juice cleanse for 3 days. Plus, they are completely egg-free, making them a fantastic breakfast option for those who suffer from egg allergies. I think I’ll go have another espresso, these words are starting to blur together. CLICK HERE FOR THE PRINTABLE VERSION OF THIS RECIPE! *If you want to use eggs, sub in one egg for the 1/4 cup of applesauce. Heat oven to 400 degrees. Line a 12 cavity muffin tin with paper liners and set aside. In mixing bowl, combine flours, baking soda, salt, oats and pumpkin pie spice. In the bowl of a standing mixer, beat the butter, sugar, vanilla and applesauce until fluffy. Add the flour mixture to the butter mixture, alternating with the water and the milk, ending with the dry ingredients. Stir until just moistening. Fold in the raisins. Spoon batter into prepared muffin cups, filling 2/3 full. Bake for 15-20 minutes or until toothpick inserted in center comes out clean and immediately remove from pans. Let cool and enjoy! To enter the giveaway, be sure to fill out the prompts below! Giveaway goes from February 23, 2014 at midnight until March 8th, 2014 at midnight. Good luck! Blueberry cornmeal buttermilk scones - a mouthful to say, but so delicious! My favorite baked breakfast goodie is cinnamon rolls! Those muffins look great - they're at the top of my baking list! If I can have blueberry-raspberry or blackberry muffins, I'm in heaven. Looks delicious! Muffins are my go-to breakfast item. Will definitely try. I love to make scones. Warm out of the oven with butter yum! Those muffins look delicious and easy to make! I love to splurge on cinnamon rolls ! Can never go wrong! My favorite baked goodie is a peanut butter muffin served with fresh raspberries or raspberry jam. I Like chocolate chip muffins. The old standby - blueberry muffins are my favorite. I love an apple muffin! I love a good cranberry scone! Cinnamon rolls drenched in icing! Cinnamon chip scones are my ultimate indulgence. Does pizza count? If not then pineapple coconut muffins. I love scones for breakfast! I'm boring and like savory breakfast, so my favorite baked breakfast goodie is probably an everything bagel. If I'm in the mood for something sweeter, I absolutely LOVE croissants. 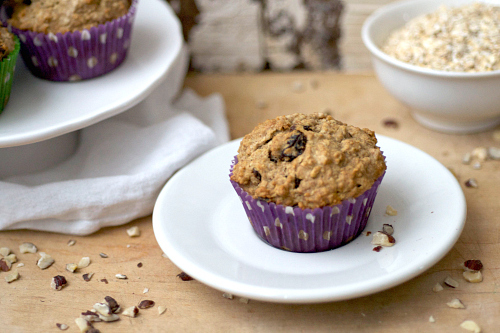 My favorite breakfast goodie would have to be blueberry muffins, but I can't wait to try these! 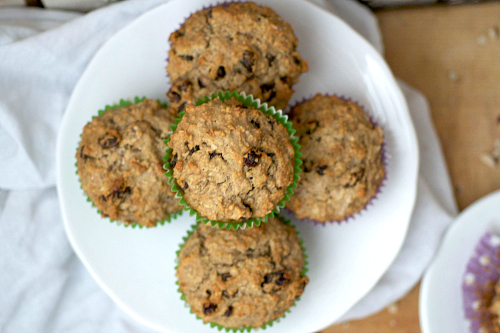 Love the looks of these muffins since they look like my favorite cookie. Definitely will try the recepie. I love a good muffin for breakfast! Cinnamon Rolls. I can't stop. I love cranberry orange scones. This look addictive and delicious. WIll give it a try this week. I've got to go with a trail mix cookie - filled with oats, nuts, seeds and fruit! My fave breakfast goodie is almond croissants, the kind with the paste in the middle. I especially love these while seated in a hipster coffee shop with a cappuccino. mmMMMmmm. 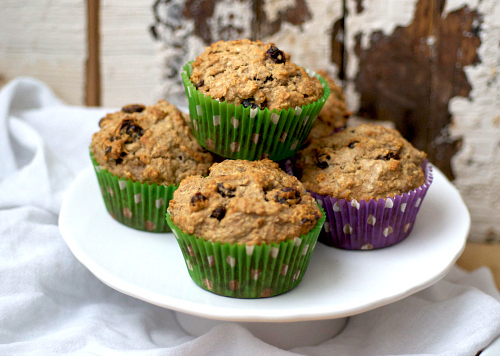 I love muffins and quick breads and make them frequently. So glad I found this blog. Lots of recipes, tips and comments from other fans! Keep up the excellent postings! I've been making these whole wheat muffins with honey, almonds and reconstituted dried cranberries. Everybody can't get enough of them! Blueberry Coffee Cake: Yummy Yummy! there is nothing better than a scone in the morning! When I was in London, I would splurge on scones with clotted cream and blackberry jam on the regular. Soooo good. I'm a fan of the simple scone. Something with dried cherries for a bit of zing to wake up my palate...swapped for raisins in a muffin similar to what you posted is my Go To day-starter. Gosh so many good ones to choose from. I love a good honey bran muffin or a super chewy bagel with cream cheese! 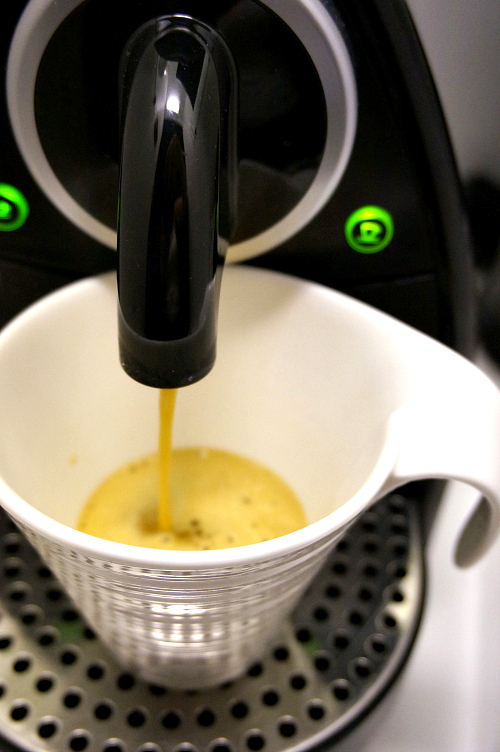 I love to drink coffee and other beverages that might be able to be used in this machine. We drink coffee daily, but often don't need a full pot and this would be perfect for those days when we just need one cup! Thank you for the offer and love your recipes! My favorite is baked oat bran with a poached egg! Sourdough toast and fried eggs. With cream cheese! Tough call - toss up between blueberry muffins and cinnamon rolls hot out of the oven! 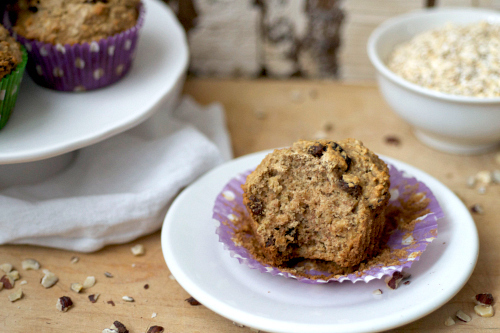 Bananna-Nut muffins! I'm completely addicted! Chocolate chip muffins with whipped cream! That would definitely be coffee cake! Scones! Sweet one and savory ones! I love blueberry scones for breakfast. So yummy! Love that fancy coffee mug! Visit Claire |'s profile on Pinterest.